In a way, this post began several years ago. We don’t always see things clearly as they happen. At least I don’t. So I’ll just share my story. It is a story of new beginnings. Tom and I made the decision to retire on a December morning in 2011. His surgeon had just told us the circumstances leading to his recent quadruple bypass were genetic. “Your cholesterol is fine,” she said. “Your blood pressure is great. You eat right and exercise. This was all genetic. It will happen again.” I stole a glance at Tom. His expression was grim at best. “Then I choose the twenty-five years,” I piped up. That got a smile from Tom. “You’re doing everything right,” she told him. "Just keep it up." As Tom and I left the surgeon’s office, we made the decision to retire early. He had to turn sixty first. That would be the following September. The earliest date he could leave his job was October of 2012. I taught at a college operating on a semester system. By the time we got into our car we had tentatively set our retirement date for December 31, 2012. One year. It wasn’t set in stone. We still had to pray about it. By the second week in January 2012 we were confident this was God’s plan for us. Tom spoke to people at his work. I spoke to the dean at my university. Good question. I could fish and golf… but not every day. I considered teaching an online class or consulting. I didn’t know what I would do. I prayed about it. One February morning I woke up with a clear picture of what I would do when I retired. “I’m going to be a published author,” I told my sweet husband. Another good question. I had published education pieces in professional journals. I had written children’s stories for my students as an early childhood educator. Continuing in either direction would have made sense. “I think I’ll write a novel,” I told him. 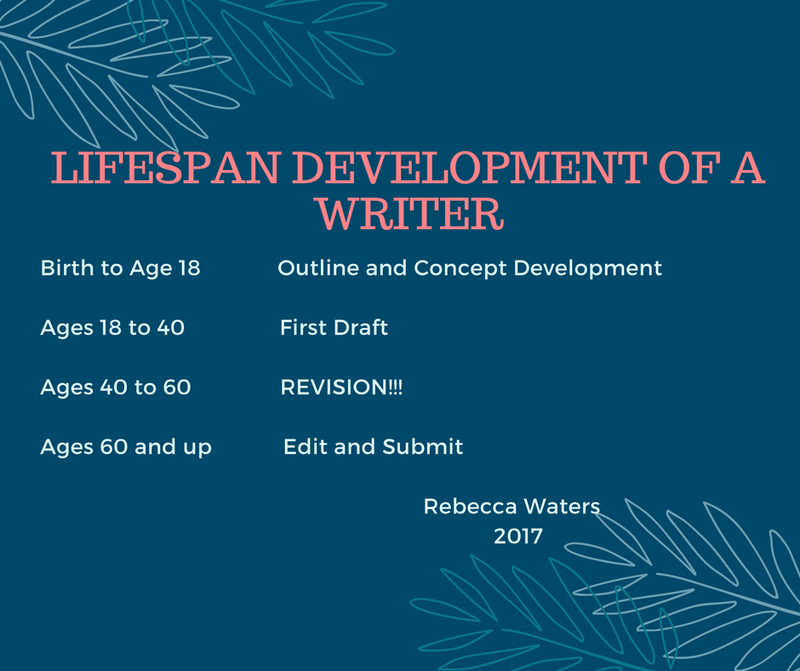 I used my week of Spring Break, to draft a business plan for writing. I then started writing the novel and researching writing conferences. I honed my skills by completing self-imposed writing exercises. I attended the Write-to-Publish conference in Wheaton, Illinois for two days once the semester ended. There I attended workshops, networked with other authors, agents, and editors, and pitched my book to Eddie Jones of Lighthouse Publishing of the Carolinas. One Saturday evening in early August I received an email confirming one of the stories I had written as an exercise had been accepted for publication in Chicken Soup for the Soul. I went to bed happy. The next morning I wanted to show Tom the email, but when I opened my email account I not only had the email from Chicken Soup for the Soul, but a new message from Eddie Jones. It was a contract to publish Breathing on Her Own. I spent the next few months teaching my final classes at the university, finishing my novel, and making plans to move to Florida for the winter. Tom and I enjoyed two wonderful winters in Florida. He didn’t golf and fish every day, but enough to make him happy. He bought a fishing boat the first year. The second year we bought a used truck camper and pretended we were young enough and agile enough to climb into the bed above the cab of the truck without a worry in the world. Tom continued fishing and golfing. I continued writing every day. I wrote a second novel set in Door County, Wisconsin. My third book was about a widow who found her way back to living a full and happy life after losing her husband to cancer. The fourth one focused on a teacher caught in the middle of the “sandwich generation” scenario, caring for her mother while juggling a husband, and son at home. The fifth book I drafted was a romantic suspense where the main characters are in their early twenties. 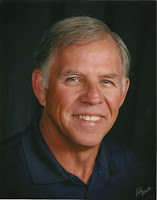 In my spare time during those first two years of retirement, I published another story in Chicken Soup for the Soul, had a couple of articles published in The Lookout Magazine, wrote for Home Health Aide Digest, and began work on a nonfiction book tentatively titled Write it on the Doorframes. It is a book on Christian parenting. Breathing on Her Own was released in March of 2014. Tom was as excited as I was. We had a party in Florida. We had another one in Ohio when we came home in June. It seemed 2014 was turning out to be the best year ever. We decided to sell our Ohio home and downsize. While we were downsizing our living space, we upgraded our camping space and bought a used fifth wheel camper. Life was good. I purposefully did not even try to publish any of my other books. My publisher said it takes nine months to a year for a first book from an unknown author to “grow legs” and build an audience. Tom and I discussed a timeframe. The plan was to leave for Florida November 1st. I would spend November and December polishing the second novel. We would be in Florida in February of 2015 when the Florida Christian Writers Conference takes place. I would have the book ready to pitch to Eddie Jones or another publisher at that time. It was a plan. October 29, 2014 was a beautiful sunny day. In a few days we would be heading back to Florida. After lunch, Tom headed out for his daily bicycle ride. I headed to my computer to work. A few minutes later I received the call telling me Tom had an accident. Tom’s tire went off the pavement, throwing him into a tree. Yes, he was wearing a helmet. No, there was no one else involved. Two hours later, my precious husband of forty-three years was pronounced dead. Though it wasn’t announced, part of me died that day, too. But this isn’t a story of endings. This is a story of new beginnings. Bear with me. 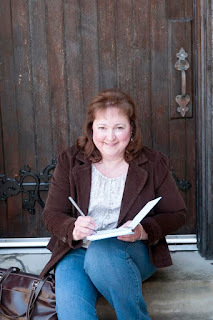 I looked at my success in writing as a gift from God. God knew when Tom would leave this earth. He knew I needed something to do. A purpose. My writing provided all of that. However, I was stuck and I couldn’t figure out why. I managed to keep my blog going. I piddled around with my books. Some needed tweaking while others needed some serious revision. “I should be publishing these!” It was the voice in my head. The voice telling me I was letting God down by not doing what he commissioned me to do. The same voice telling me in some way I was letting Tom down, too. The voice of disappointment. Two and a half years after Tom’s death I made the decision to move to a different house. Downsizing had been our plan anyway. Moving is both physically and emotionally exhausting. The process, though, brought with it more than fatigue. It brought clarity. I came to realize I needed those first couple of years to mourn -not to publish. I needed that time to heal. And I came to understand that the books I had drafted were indeed a gift from God. He had given me those so I would have a place to start when I was ready to return to my writing. I’ve since forgiven myself for not publishing any novels during that difficult time of my life. And I’ve now given myself permission to enjoy a new and different life. A life that honors God…and Tom. I’m listening to a new voice. It is the voice of courage and determination. It is the voice of New Beginnings. Allow me to introduce you to a very good friend of mine, Sandra Merville Hart. Sandy and I met through ACFW and frequently share rides to our state chapter meetings. 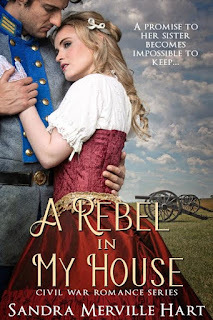 I asked Sandy to be the guest on today’s blog because her newest book, A Rebel in My House just released this past week. Sandy is passionate about the possible behind the scenes stories emerging from the Civil War era. For todays post, Sandy offers tips for new writers on conducting research to make your own work stand out. Enjoy! And be sure to leave your comments for Sandy. Every new author with a story idea wonders, “Where should I start?” For those who want to write historical novels, begin with research. Reading articles from trusted sites online—such as those ending in .edu or reputable history sites—is a nice place to start. These may give more questions than answers. The next stop is probably the local library. Inspect the library’s catalog for nonfiction books pertaining to a novel’s setting. If an event (a battle, a train wreck, an earthquake) touches your story, take detailed notes from sources that include the page number to make it easy to find again should the need arise. If resources allow, consider visiting the novel’s setting. Local museums—and staff—are wonderful sources for historical background. You can never use all you learn, but your story gains a new depth from careful research. For example, I had written an unpublished novel that included the Battle of Gettysburg so I already had lots of notes when beginning my writing journey for A Rebel in My House. Yet those notes focused on other details not included in my new novel. I started over. I began researching for this novel with a trip to Gettysburg. A battlefield guide, Clay Rebert, tailored a ranger tour around my novel questions about Tennessee troops. Three Tennessee regiments fought the beginning battle on July 1st and didn’t fight again until they joined in Pickett’s Charge. A fun tidbit about our ranger is that our time with him went over and he was in danger of missing lunch. He accepted a couple of my homemade chocolate chip cookies and a bottled water to tide him over. Other ranger talks taught different aspects of the battle. They brought those long-ago days to life in my imagination. We walked the town’s streets around the “Diamond” or the town square where women and children suffered through an occupied town. I had to show what the citizens endured. I spent the next five to six months reading battle details, soldier diaries and accounts, and Gettysburg resident accounts. I studied period accounts to understand prevailing attitudes and beliefs. When I felt like I’d been there, I knew I was ready to write the story. Your novel may not require this level of research, especially if the historical period isn't your main aim. However, acknowledging local or national events during the time period your story takes place lends authenticity to your story. Sandra Merville Hart, Assistant Editor for DevoKids.com, loves to find unusual or little-known facts in her historical research to use in her stories. Her debut Civil War romance, A Stranger On My Land, was an IRCA Finalist 2015. Her second Civil War romance novel, A Rebel in My House, is set during the Battle of Gettysburg. It released on July 15, 2017. Visit Sandra on her blog at https://sandramervillehart.wordpress.com/. When the cannons roar beside Sarah Hubbard’s home outside of Gettysburg, she despairs of escaping the war that’s come to Pennsylvania. A wounded Confederate soldier on her doorstep leaves her with a heart-wrenching decision. Separated from his unit and with a bullet in his back, Jesse Mitchell needs help. He seeks refuge at a house beside Willoughby Run. His future lies in the hands of a woman whose sympathies lay with the North. Jesse has promised his sister-in-law he’d bring his brother home from the war. Sarah has promised her sister that she’d stay clear of the enemy. Can the two keep their promises amid a war bent on tearing their country apart? Does Everyone Have A Story? But is everyone a playwright? Is everyone a writer? Everyone has a story, but not everyone is a storyteller. 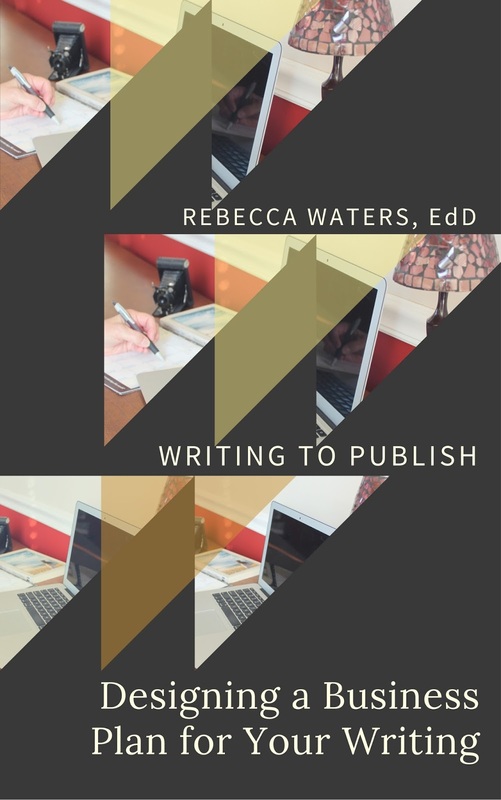 Ask any published author and they will tell you of at least one wannabe writer talking to them about a book they need to write –a surefire best seller. It is usually a story of their own dysfunctional family and they are certain someone will make a movie out of it. The simple truth is this: All families are dysfunctional. Nothing new there. Life isn’t fair. Nothing new there. Bells went off in my head. Here’s another one. I smiled and listened as she began talking about her past. I must admit she has led an interesting life and against great odds. Everyone has a story, but not everyone is a storyteller… or a publishable writer. She knew enough to know that. The question then begs, what should a person do with their life story, shy of turning it over to someone else to write? I suggest we should all preserve our stories in written form. Keep a journal, write descriptions of family members, write the stories handed down to you from parents and grandparents. Preserve your history. First, the more you write, the better writer you become. It’s true. The more you write, the better you write. Take a few minutes each morning or evening to preserve a personal or family story. You don’t have to revise it, edit it, or make it beautiful. You simply need to write it down. Revisions can come later if you like. Second, writing your story will give you insights you never imagined. I hesitate to call writing therapy because I am not particularly qualified to suggest that, but for me, writing is indeed therapeutic. Putting on paper what I see or perceive, what I feel and experience, helps me sort out what really took place and keep everything in perspective. 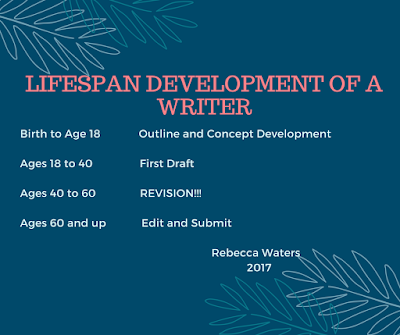 Third, and this is where the true writer in you comes out, writing your story down with all the intricate, quirky people you call family, helps you develop true-to-life characters for your books. Is your life story a best seller? Possibly… but not likely. However, it is important. It’s important to you and to generations to come. It may be fodder for a fictional story or it may serve only to help you gain perspective. Writing your story down is still of value…even if no one ever makes a movie of it. It’s your life and that means it is worth preserving.